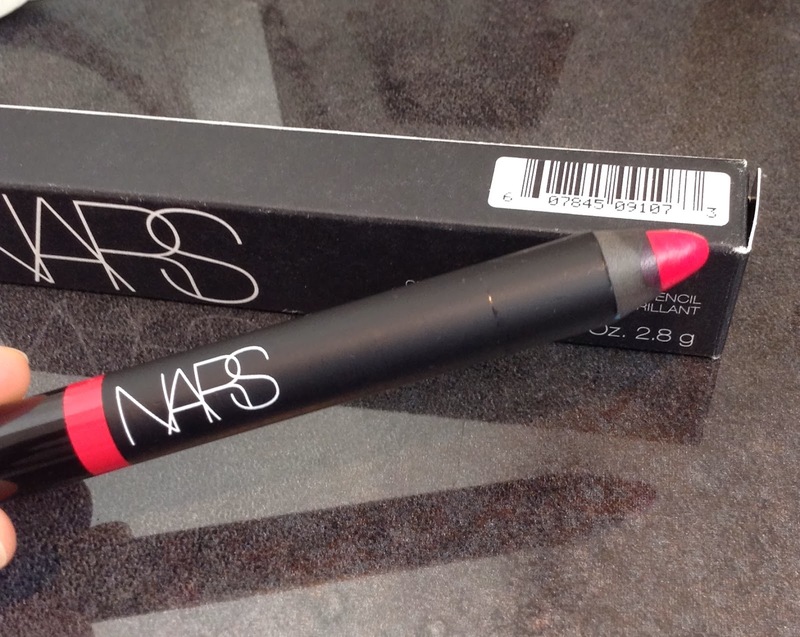 Today I wanted to share with you my first ever NARS lip pencil, the colour I chose was Mexican Rose, a bright fuchsia shade, perfect for spring. After reading a ridiculous amount of rave reviews on these pencils I decided to invest. Living over an hour away from the nearest NARS counter I had to order online which I was slightly apprehensive about following my recent fiasco, however I was not disappointed. I looked at the swatches on the official NARS website but ordered through ASOS to take advantage of student discount and free shipping. 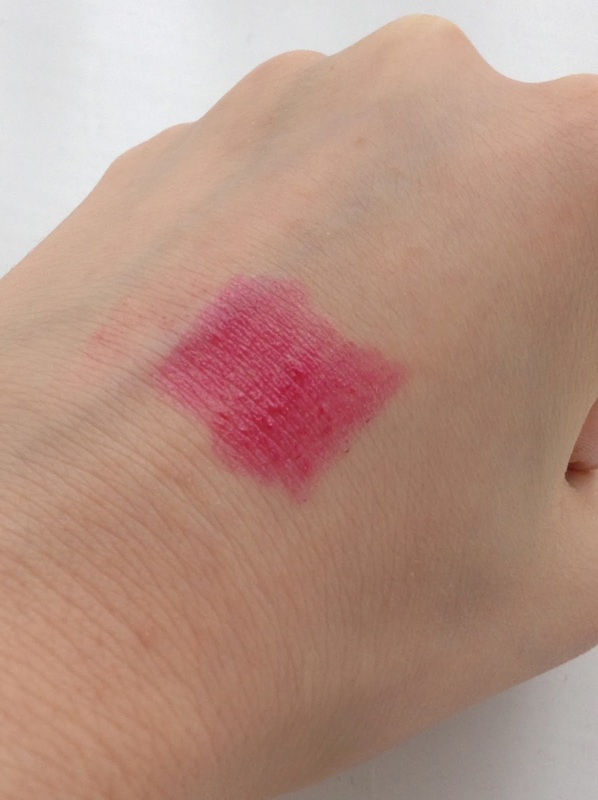 I would advise anyone doing the same to look on at the official NARS swatches as the ones on ASOS are not entirely the same, and you don't get in depth product details. Can we all just take a minute to swoon over the gorgeous simplicity of the design. It reminds me of MAC, but that pop of colour takes to a whole new level! The only problem I envision I'll have is when I come to sharpen it, I'm worried that it'll not sharpen up very well, but I'm sure popping it in the fridge before hand will solve this issue. If any one has sharpened a NARS pencil before please let me know how you did it! I love that it comes in a box, those of you who are regular readers will know I love a boxed lipstick, and have a peculiar ritual of keeping my newest edition in its box until another product knocks it off the top spot. I had very high hopes for this product, and it did not disappoint. The texture is a mix between a lip balm and a lip gloss, it isn't completely none sticky, but my hair isn't attracted to it like a magnet. It swatches quite sheer on my hand but it has a stain affect so when it starts to wear off the colour is still there. I'm not entirely sure how much product you get, whether its half a pencil or more, but I can imagine this will last me a long time. The pigmentation of the stain that's left on your lips is unbelievable, after I tackled a meal and drinks, the initially glossiness was gone, but I was left with a gorgeous fuchsia tint. The pencil retails at £17.50, although I got mine for £15.75...thank you student discount. 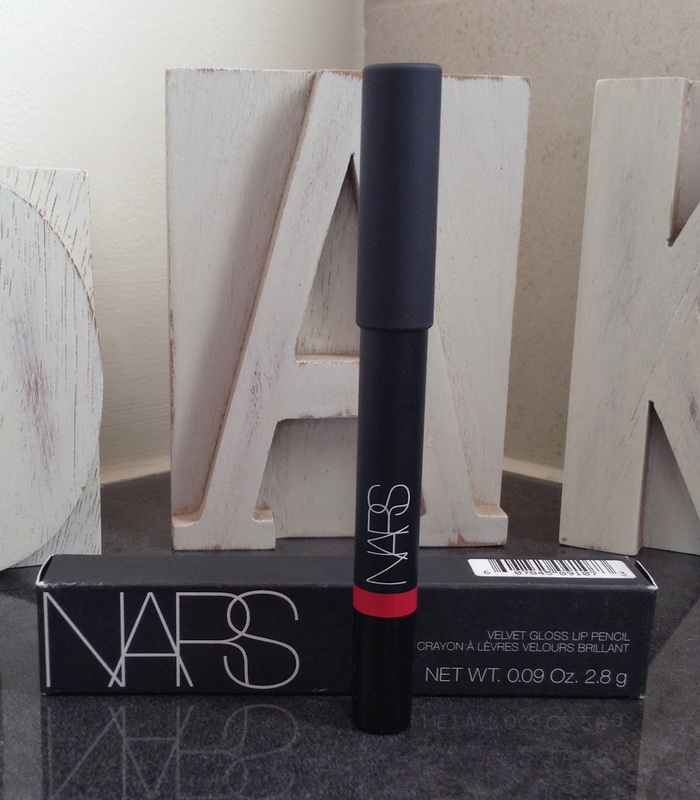 Compared to some other products NARS sells, £17.50 is a bargain. I'm eyeing up several other shades to order on pay day. I'm wanting to add the NARS Sheer Matte foundation to my collection, but as I live no where near a counter I'll have to match my own shade online...argh scary! Have you ordered this way before, if so what was your experience?